BE A HAPPY CAR SELLER. Sell your car in 3 easy steps. Use the Kelley Blue Book Instant Cash Offer form to input the condition and options of your vehicle. Bring your KBB.com appraisal to our BuyCenter and a certified technician will inspect your vehicle for any issues. Upon your vehicle passing inspection, we’ll cut you a check and handle the DMV paperwork! We make selling your vehicle easy and painless. We will make you an offer on the spot and provide you with a check for your vehicle. 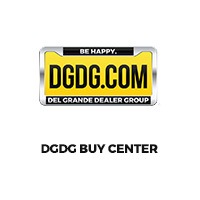 DGDG® is the Bay Area’s Largest Family Owned Automotive Group plus an authorized Kelley Blue Book® and Cars.com® Buy Center. My experience couldn’t have been any better! The entire staff is completely professional, they make the process so easy! Albert Ricardez by far exceeded my expectations. He was able to get me what I wanted for my car within minutes! The whole process took less than an hour, leaving me plenty of time to enjoy the rest of my day off instead of having to continue looking for a buyer. If you are looking to sell your car go see Albert Ricardez!